BTGuard Review 2019 – How Safe is BTGuard? Mandee Rose | Posted on March 19, 2018 February 6, 2019 | Leave a comment on BTGuard Review 2019 – How Safe is BTGuard? 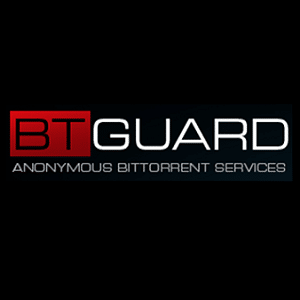 The BTGuard Virtual Private Network (VPN) is a service that seems to target BitTorrent users in particular. This sounds like a good idea in theory. BitTorrent seeders and leechers have an innate need for a VPN tunnel, due to the inherent security risks revolving around peer-to-peer (P2P) technologies. Without a VPN tunnel, other downloaders and uploaders can see your real Internet Protocol (IP) address. Furthermore, if your data isn’t encrypted by a VPN tunnel, governmental agencies, network administrators and Internet Service Providers (ISPs) can see what data you’re downloading. That may not sound like a big deal, but it means that you could pop up on the Recording Industry Association of America’s radar for downloading copyrighted materials (or that of another copyright body), and could be slapped with legal consequences. Even though fewer and fewer regulatory bodies are trying to fight illegal downloads as time marches forward (it’s virtually impossible to stop people from downloading torrents), there is still the risk of a lawsuit when downloading copyrighted content. The good news is that a VPN tunnel, such as BTGuard VPN, will protect your anonymity and make downloaded data invisible to third parties. BTGuard seems unique at first glance, because it was specifically designed for and marketed towards BitTorrent users. But what sets it apart from other “general use” VPN tunnels like ExpressVPN, IPVanish, or VyprVPN? Is it really superior to competing services when it comes to BitTorrent downloaders? And does it come with any special features that reduce risk when downloading torrents? We’ll dig into the details one step at a time, but for the sake of foreshadowing, I have to say I wasn’t overly impressed with this service. For starters, the website looked atrocious. I’d venture as far as to say that the website looks like it was designed by a new university student in a “Websites and HTML 101” course that was taught in the late 90s. The text is pixilated and awful, the images are of poor quality and the support content feels a little chaotic and disorganized. Still, I suppose we shouldn’t judge a book by its cover, so let’s take a closer look at this provider’s features. How Much Does BTGuard Cost? BTGuard’s prices aren’t really outrageous, but at the same time, they aren’t exactly cheap either. In fact, I think that its pricing model is a little on the high side, and lies somewhere between the middle and high end of the market’s prices when compared with competitors. I dislike the fact that there is no free version or free trial of the service; I think that BTGuard would be able to garner a larger following if users were able to test out the product for free. Obviously, I’d recommend staying away from the monthly and quarterly plans, since they don’t offer great savings. For that matter, I’d recommend looking for another provider that offers more value, but feel free to read on for a thorough analysis of features, privacy and speed. With the way things are going, I’d bet you can predict how high my expectations were for fast servers during the speed test. Even though BTGuard claims to have 10Gbit servers, I didn’t have very high hopes, given the flaws and gaps found in the previous sections. Nevertheless, I trudged forward with the tests. As you can see, the speeds were pretty poor. In both cases, the VPN tunnel performed worse than my raw internet connection. However, note that in all four tests, the upload rate stayed more or less the same (about two-thirds of a megabit). The latency was comparable in both cases as well, though the download bandwidth was significantly reduced. But even though the bandwidth was reduced, the connection was still very usable. I didn’t notice webpages loading more slowly than usual or YouTube videos buffering at a slower rate. Still, I lost almost half of my download speed for the Toronto comparison, and about 5Mbps with the Singapore test. In summary, the speeds weren’t nearly as bad as I expected them to be, but they weren’t all that encouraging, either. First off, I have to mention that the BTGuard support system didn’t have a live chat feature (which I wasn’t expecting, after seeing the state of the website). Like everything else with this service, the customer service is lacking – it is an extremely bare-bones system. There are some online guides and walkthroughs, but it seems the only way to actually contact support is through an archaic, email-based ticketing system. Support isn’t 24/7 and response times are rather low, taking anywhere from one to three days. If you were really in a bind, I wouldn’t hold my breath. The support is mediocre at best, just like every other component of this service. I imagine that most of you know where this conclusion is headed. Even though BTGuard does offer OpenVPN connections that work, I simply can’t recommend this service in good conscience. It’s overpriced for what you’re getting, and doesn’t offer good value. If you threw a dart at a list of competing VPN services, chances are you would luck out and hit a better service than BTGuard VPN. If you want my advice, save your money and look for another provider. This service was a let-down, and I would recommend just about any other service instead of it. For instance, check out PIA VPN, which allows up to five simultaneous connections and costs as little as $3.33 per month. Lastly, I would also point you in the direction of some of the industry’s other top providers, including ExpressVPN, VyprVPN, TorGuard VPN, IPVanish VPN and NordVPN.